There are a few things that I really wish for in kids toys. I want them to to have multiple uses and foster the imagination, I want them to be good for my kids to play with for many years and I want them to look nice. We have found a toy that fulfils all three of those desires. Looks like I’m going shopping! 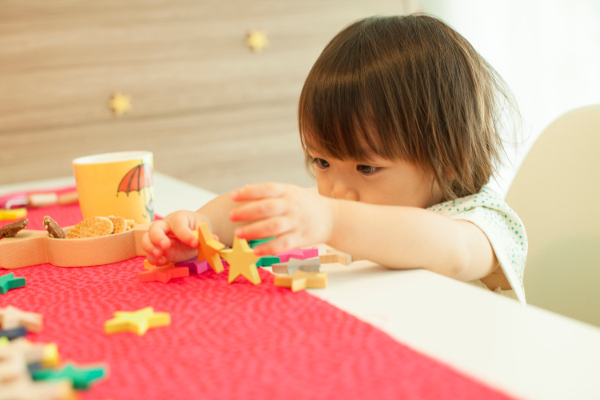 Babyologists, these Tanabata Star Dominoes from Kiko+ toys tick so many boxes for me that my girls can expect some in their stockings this Christmas. While it is probably the least important element in picking toys, they just look so lovely. These are toys that I would be happy to have on display. 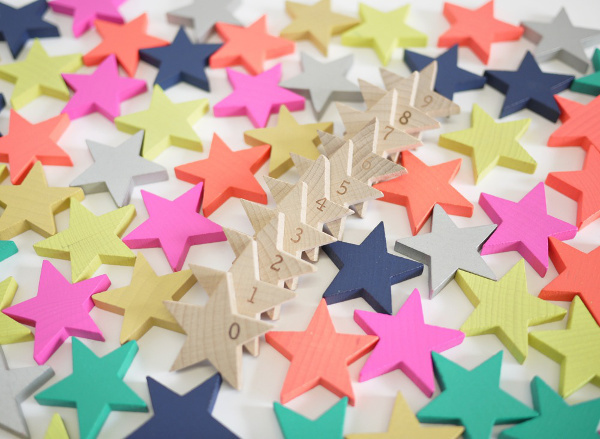 Beautiful wooden stars in 10 colours, including silver and gold adorning my dining table, then easily swept back into their bag come dinner time: it is the kind of toy parents dream of. 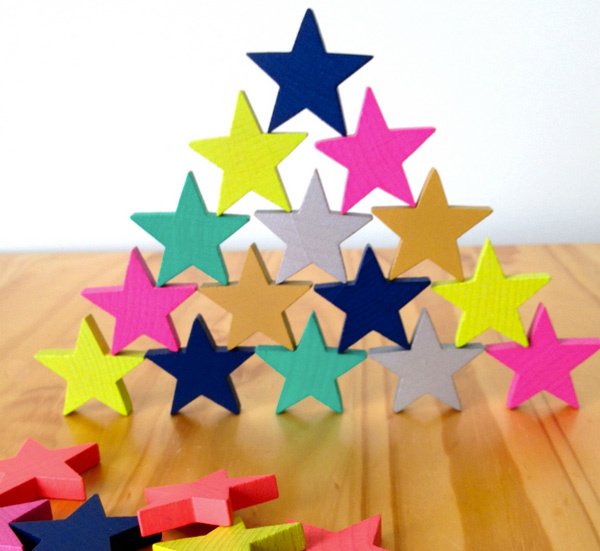 Inspiration for these dominoes came from the traditional Japanese Tanabata star festival. Held in July each year, children are encouraged to write their wishes and hang them on a special bamboo tree in the hope that the wishes come true. Along with looking great, the Tanabata dominoes can be used for so many varied games, by a great range of ages. Of course, being dominoes, they can be lined up and knocked down, but more than that, they can be stacked, grouped in colours, used to create patters, used in counting games and laid out like the night sky. 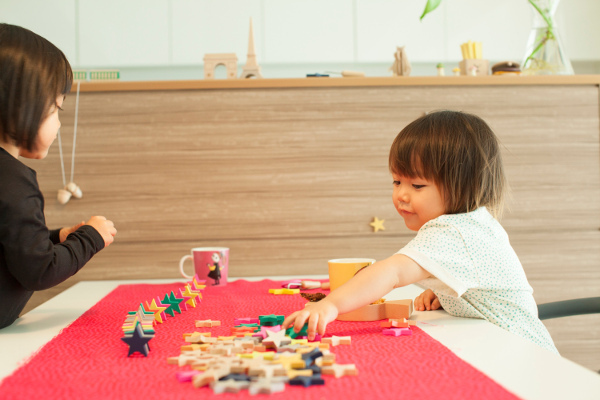 The Kiko+ Tanabata dominoes come in a set of 100, and are available locally from Sweet Elephants for $59.99. For other great Kiko+ toys check out our posts on their wooden hamburger set and animal sandals.